With the help of staff at the Academy, DrexelNow compiled a list of restaurants and cafés where you can enjoy comfort foods near the museum, located at 1900 Benjamin Franklin Parkway. Whether you’re visiting or shopping nearby, check out the options below! The kosher Middle Eastern restaurant offers generous servings of falafel on pita or on platters, complete with hummus and a customizable array of sauces and sides. Plus, everything is really affordable here — and really, really good. The Whole Foods is located just across the Parkway from the Academy of Natural Sciences — which is very convenient for anyone with time to kill on a lunch break. But in addition to the organic grocery store chain’s staple of prepared meals, grab-and-go foods and a salad bar and hot bar, the Whole Foods in Center City is pretty special. This is the only one to have a Restaurant Row, which is exactly what it sounds like. On the first level of the Whole Foods is Allegro Coffee, which serves up pastries and coffee all day. Then, inside the grocery store, there are individual “shops” of Philadelphia favorites like Dizengoff (famed for its hummus and pita), Goldie (which also appeared on the Drexel University City Campus fall eats list), Federal Donuts (fried chicken and donuts) and Izakaya, which dishes up small plates like sushi tacos and bao buns as well as poke bowls and ramen. 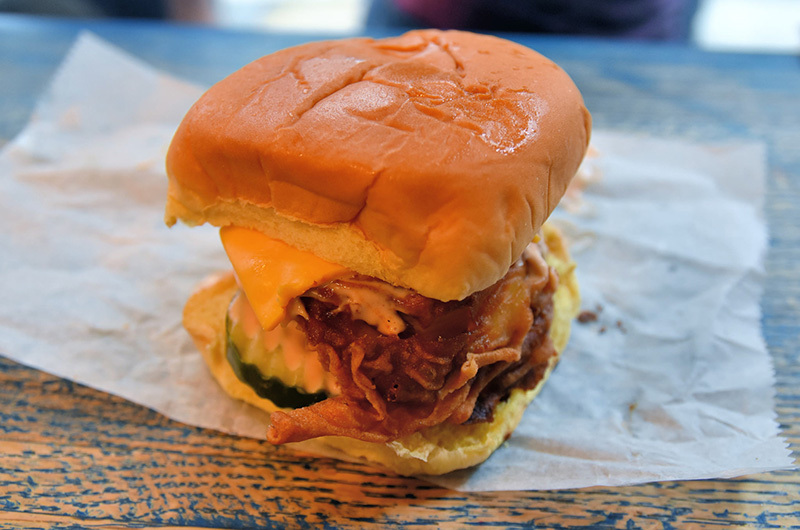 The fried chicken sandwich at Federal Donuts has a crunchy chicken breast sprinkled with buttermilk ranch seasoning and topped with American cheese, pickle, sandwiched between a soft Martin’s potato roll. And Goldie’s tehina shake is unlike any milkshake you’ve ever had — go for the plain tehina shake or go for the gold with the Turkish coffee or banana flavors. Federal Donuts’ fried chicken sandwich. Photo credit: jpellgen (@1179_jp) on Flickr. Yes, it’s a juice and burrito bar — so when someone recommends the smoothies here for a comfort food list (instead of, you know, burritos), you know they have to be good. The smoothies are creative — ingredients range from pitaya to Chaga mushrooms to pink Himalayan sea salt — and filling. Plus, there are a ton of burritos (also creative and filling!) and juices, blended bowls and soups and salads, for days when you want to eat cleaner and healthier without giving up flavor. There’s another Sabrina’s Café on Drexel’s University City Campus, but the one in Fairmount is closest to the Academy. 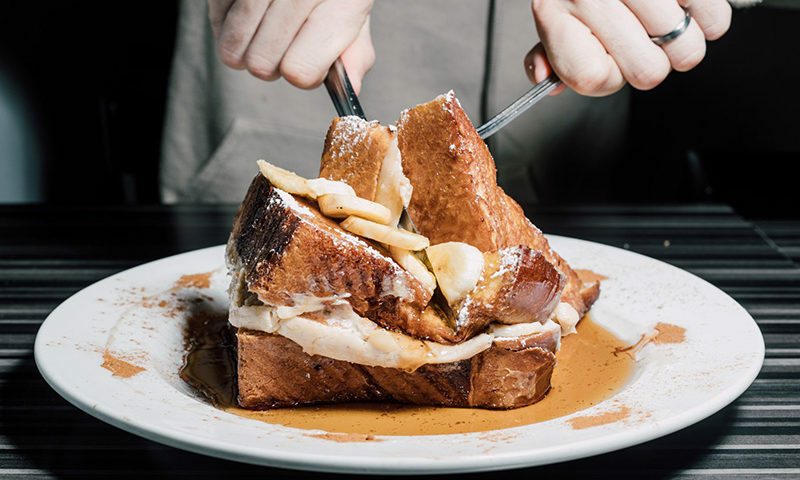 Serving all-day breakfast, Sabrina’s is known for its humungous and heavenly breakfast plates like Challah French toast and dessert-like waffles, pancakes and French toast specials. Challah French toast. Photo credit: Sabrina’s Café. Kati rolls are street-food sandwiches that have been called “Indian burritos” — think a kebab skewer or vegetables wrapped in flatbread and filled with sauces, condiments and other toppings. At Spice End, there are over 10 different kati rolls to choose from with fillings including chicken, potato, vegetables, lamb and eggs. That’s right — falafel came up twice. Taste test? There are a couple more options to eat your falafel at Naf Naf — on couscous, over rice, on top of hummus, in a pita or over lettuce. 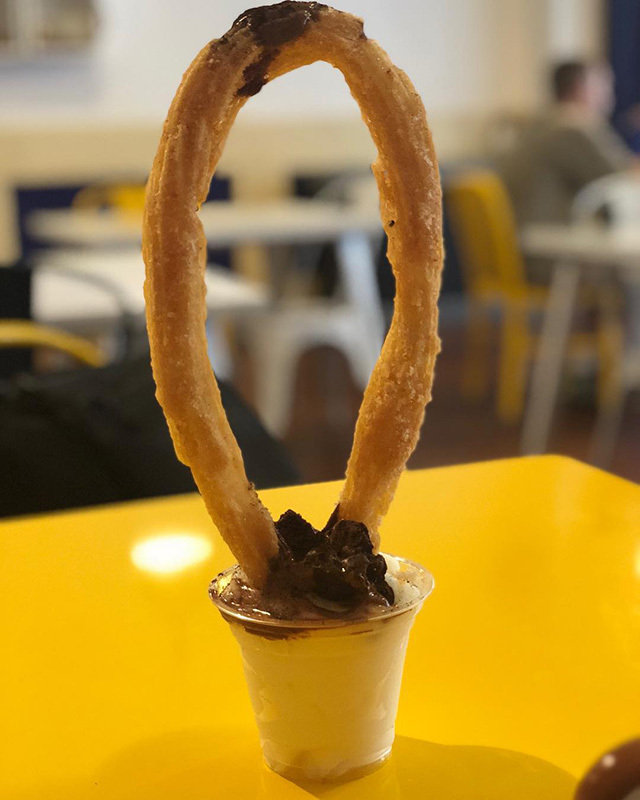 El Merkury specializes in Central American street food — but whatever you do (or do not) order for lunch, make sure you order churros for dessert. Because at El Merkury, there’s a churro bar. You’ll get the biggest churros you’ve ever seen (you could make a necklace out of it if you’re so inclined) and you can top it with everything from ice cream to caramel to cookies. The Coffee Tacooba churro (chocolate-covered coffee beans, espresso sugar and moka syrup) at El Merkury. Photo credit: El Merkury. 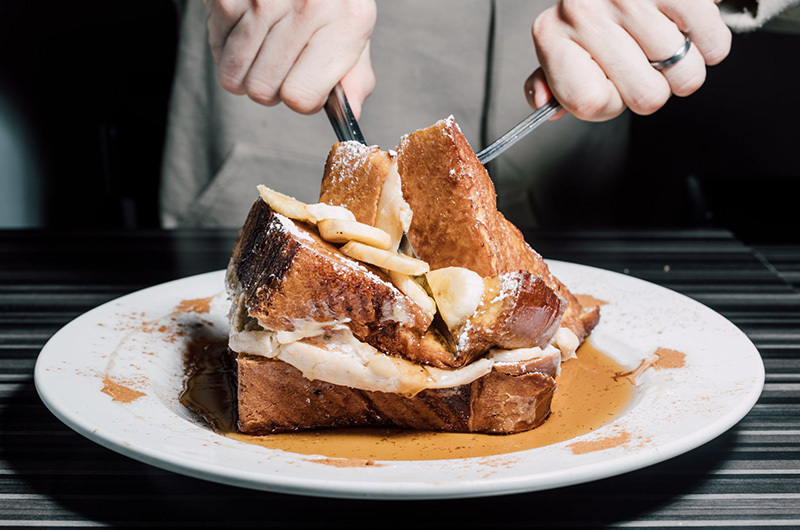 Milk House’s grilled cheese also popped up in DrexelNow’s Center City Campus comfort food list — which actually isn’t surprising, considering it’s in Suburban Station (which is located between the Academy and Center City Campus) and the grilled cheese is phenomenally gooey here. Previous Post:How Fast Are the Oceans Warming?